Originally from Loveland, Colorado, Jim Bartsch was introduced to photography when he worked for Eastman Kodak. “They had an employee sale on 110 model cameras,” he remembers, “and I thought I should have one.” Photography became such a fun hobby, Bartsch upgraded to a 35mm camera system, and when people started complimenting him on his images, he entered photo contests and did well, further stoking his passion for the craft. From there, his path lead to Santa Barbara. G&C: Tell us about your formal training? Bartsch: I attended Brooks Institute of Photography in Santa Barbara from 1985-88. My major emphasized industrial and scientific photography. My thought was to be a corporate photographer until I discovered architectural photography soon after I graduated. I was fortunate to be hired by a company that did high-end real estate brochures. That gave me a lot of experience and helped me transition to doing photography for contractors, architects, and interior designers. I also found a niche in doing photography of hotels. How was your transition from film to digital? My transition was made much easier because I scanned my film for three years prior to the onset of digital photography. This gave me valuable experience in dealing with digital image files. Digital photography opened up many techniques that allowed me to produce higher quality photography. Photography today is half shooting and half computer work. If a photographer does not enjoy working on a computer it puts them at a major disadvantage, or they have to hire someone to do that work for them. Any other kinds of photography you find particularly interesting? I like to do travel photography, especially of African wildlife. My wife and I have made three trips to Africa over the past ten years. I also thoroughly enjoyed photography in Iceland and India. How did you first get work with Giffin & Crane? I don’t recall. It’s been at least 20 years since I started doing their photography. How many homes have you shot? I’ve often wondered that. I know it is many thousands. Also I’ve wondered what is the real estate value of all the homes I’ve photographed. It’s billions and billions of dollars. Last year I shot one house valued at $350 million in Bel Air. 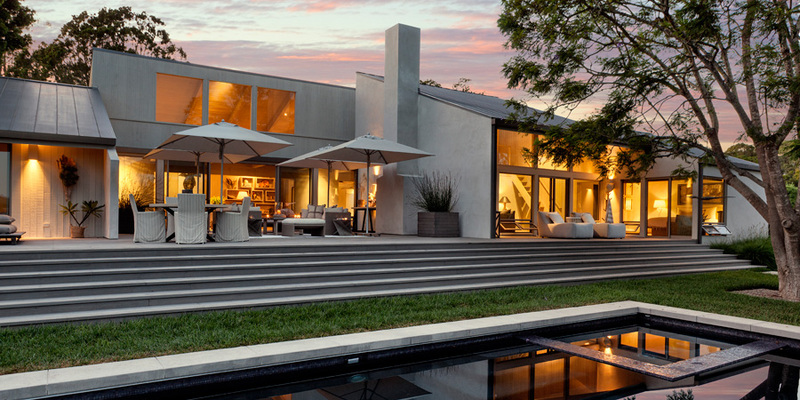 Last week I shot a $100 million house in Los Angeles. Do you find yourself shooting when you’re off the clock, like during vacation or sitting down to a nice plate of food? My wife is in charge of photographing the food. When I’m not working I don’t tend to take many personal photos. I have shot many amazing homes for Giffin & Crane. All of them are of meticulous quality. They are always a pleasure to photograph. I’m always impressed by the close relationships they have with their clients. That’s not always the case for contractors to have friendly relationships with clients after building their homes.